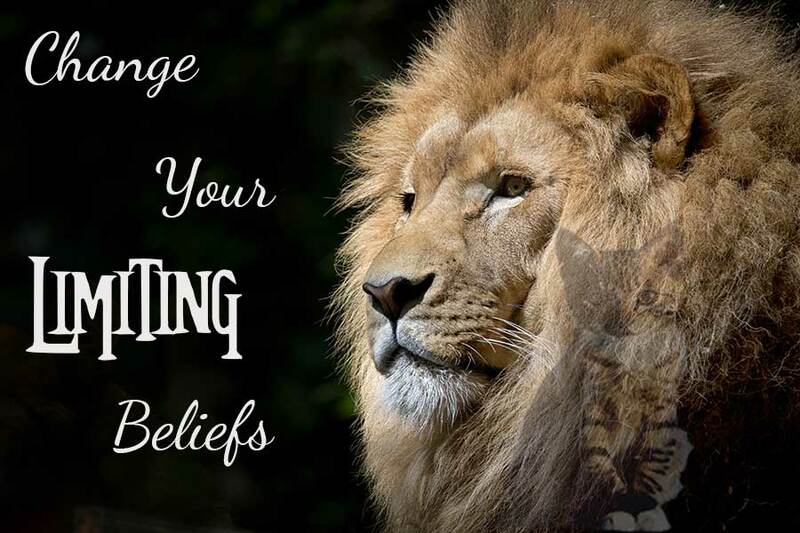 How To Change Your Beliefs - Better Believe It! Everything you see, do, or think is based on a belief you hold. Beliefs are not right or wrong, they are just ways of explaining evidence that you’ve collected in your mind. Beliefs are just either “useful” or “detrimental”. We harbor lots of beliefs about everything, and more often than not, we don’t even realize what our true beliefs are. So it sometimes takes a bit of soul-searching and self-reflection to ferret out the beliefs we hold that limit us and are no longer useful. To determine what beliefs you may be clinging to that no longer serve you, take some time to sit at your computer or with a pen and paper and start making a list of ideas that you believe to be true. Mark down all the important areas in your life – finances, family relationships, work, school, politics, the environment, the global community, etc. Know that everything in your life exists because of a belief you hold. If you’re unhappy in a certain area of your life, blaming some outside force will never help you change it. Instead, look for any beliefs that might be disempowering and leaving you with less than what you should have/do/be. If you need help in discovering limiting beliefs, search online for a worksheet to give you ideas. 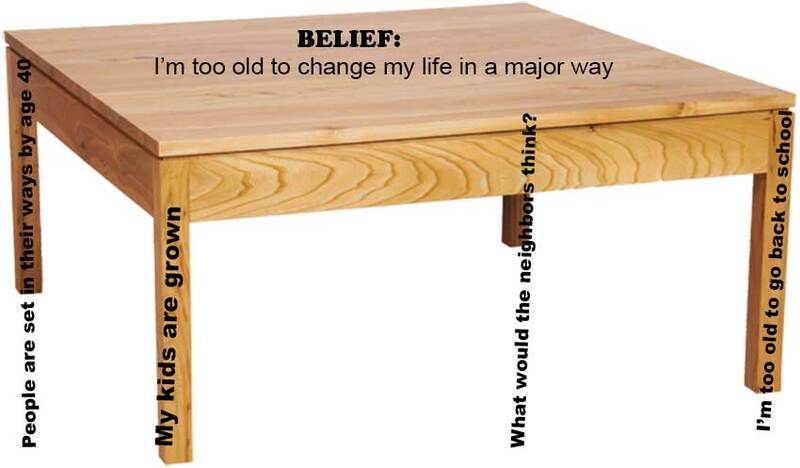 Here’s a short one: http://www.achangeinthinking.com/reversingcorebeliefs.pdf. Once you have an idea of beliefs that you would do well to change, let’s get started on changing them. I used to read about affirmations. You know, they say write out empowering statements like” I have plenty of money”, “I am safe and secure” (in the case of anxiety), etc. Maybe they work for some people, but they never worked for me. I’d say positive statements to myself continually all day long, but that didn’t make me believe them. I don’t think repeating something over and over has any effect on what you believe deep inside. Decide what benefits come from holding onto that belief. Does it provide a convenient excuse so you can gather sympathy from friends and family? Does it keep you from putting forth effort when you feel like you have no energy to give? Determine if the benefits of keeping the belief are worth it. If not, decide on a better, more empowering belief, such as “I’m not too old. I can make a major overhaul in my life”. Then search for all the reasons why that belief is true. Go find examples of people who started college after age 40. Research all the famous people who made major changes later in life or started a business, etc. 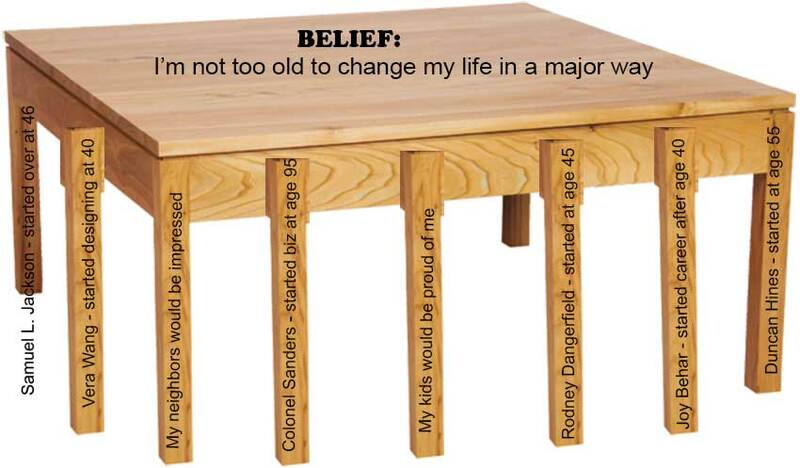 Put as many legs of evidence as you can find to support your new belief. Believe me, there’s plenty of evidence for any belief you choose. You just have to think about it and do a little research. A quirky thing happens with beliefs. Once you’ve adopted a belief, the mind will automatically look for more evidence to support your belief while not even noticing things that might contradict your belief. So once you have enough evidence to start believing something is true, your mind automatically helps reinforce your beliefs. For example, say a girl believes she’s ugly. She’ll automatically notice any dirty looks or stares that she encounters, but she won’t notice the compliments, smiles and flattering looks that come her way. It’s a pretty simple process, but it works every time. It just takes a bit of time, introspection, maybe a little research, and a bit of practice. There’s no reason to carry around beliefs that don’t serve your highest good (or those of others). Take the time to do a personal inventory and adopt more empowering beliefs today.